The need for food to feed the planet is growing every day, and there is no simple solution for addressing this problem. To add insult to injury, the world is also going through climatic changes, environmental disturbances and also shortages of resources. On top of that, there are several political unrest and global issues that also affect us all. We are all suffering from the crisis of having fewer amounts of food, energy resources, and sustainable livestock. Although there seems to be no perfect solution to address all the global problems and shortages of food, the ancient methods of producing more food and yielding more crops through aquaponics can be a great way to increase the amount food production globally. Aquaponics, which is also known as Hydroponics, is a technique of growing plants on water through a steady supply of nutrients through a pump or flow of solutions. Growing food through aquaponic agriculture does not require great amount of land or resources, and can be a great solution for sustainable agriculture. There are great new methods of aquaculture that can increase the amount of food to feed our planet, and can be especially profitable in places where water and transporting other resources for agriculture such as heavy machinery, and fertilizers may be costly. Transportation costs for farmers can be an added burden which can be easily avoided. The Aquaponic techniques of farming are not to be taken lightly. A single container farm can produce enough food to support a family of several people for a year. Just imagine how much families can save on food by growing simple produce in places where they might have though useless. On a larger scale, Aquaponic agriculture can yield to a greater profit and eliminate higher overheads such as cost of transportation, electricity, fuel and water irrigation facilities. It only needs a pump in some cases to spray on the nutrients through a solution in water. 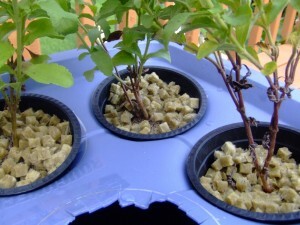 Depending on which technique of aquaponics you use, this technique of farming can prove to be a useful method to increase the food supply of a given city or area. Another advantage of growing food in an aquaponic farm is that you do not need to use any harmful chemicals as fertilizers and still get a good yield of crops. 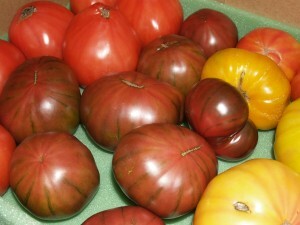 There are ways to grow food completely through organic substances that do not harm the nature. 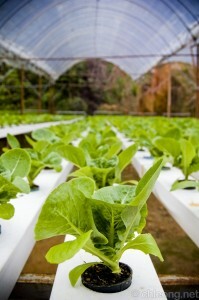 The water used in aquaponic farms may also be recycled and controlled accordingly. Aquaponic farming in large scales has already been made po pular in countries like Germany. In the city of Berlin, where 3.5 million habitats reside, aquaponic farms are very popular these days where farmers of small to medium scale farms are supplying food on the shelves of supermarket. The method of farming is very transparent and it is very easy to trace out all the elements and ingredients of farming and to figure out where everything is coming from. Small scale farms are not limited only to the seasonal produce and fruits, but they can continue throughout the winter by continuing faring indoors with the help of green houses and small spaces in the house where containers can be placed. Many people have benefited through aquaponic farming throughout the year, applying the same method of farming in July as they do in January. The only difference is that the larger farms may need to use a bigger green house to protect the farms from harsh weather. Watching out for weather forecasts can help the farmers to act before a snowstorm to roll their covers and use some sort of heating process to keep the plants alive. It is also important to le arn which types of plants are more sensitive to winter weather and remove those plants before winter arrives. Therefore, growing only certain kinds of plants becomes profitable during the winter and can benefit the farmers because they will achieve a greater yield by growing those specific types of plans in the winter. For example, crops such as basil and cucumbers cannot tolerate cold weather and so they should be removed before winter comes. Instead, growing green and leafy plants like kale, lettuces, can be profitable in the winter because they can survive the heavy frost of the winter, even though they look delicate.